It has fine adjustment valve with Flowmeter and Humidifier. It is suitable for Bull-Nose type valves and Includes floating type flowmeter. 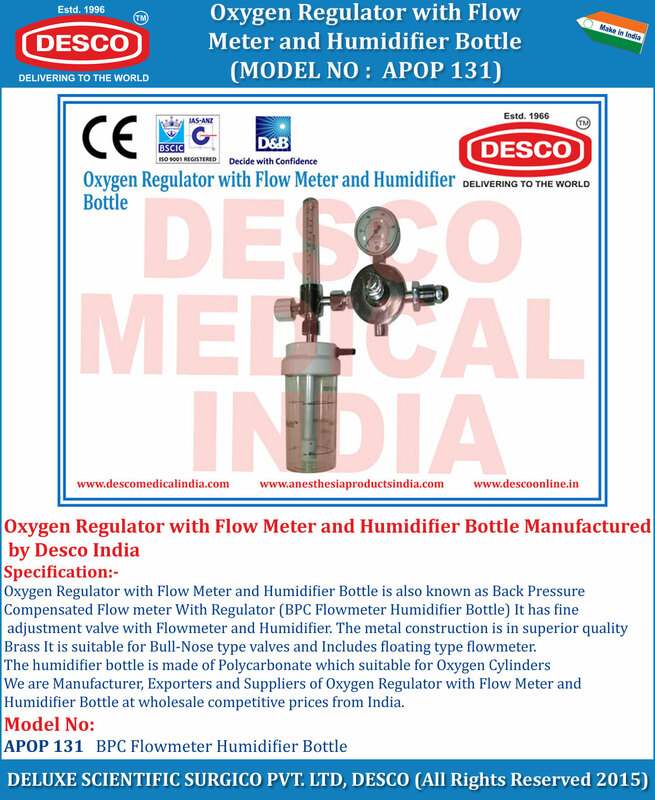 We are Manufacturer, Exporters and Suppliers of Oxygen Regulator with Flow Meter and Humidifier Bottle at wholesale competitive prices from India.